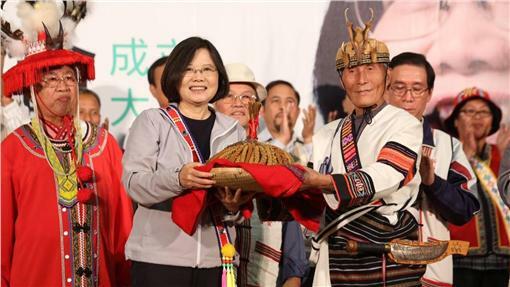 Those following Aboriginal issues in Taiwan have noticed the emphasis put by the new President, Tsai Ing-wen, on advancing Aboriginal rights in Taiwan, one of her long-standing projects. Not only did she express to autochtonous people formal State apology in August 2016 for four centuries of acculturation and land appropriation by the han settlers since the 17th century. Most recently, and in partial application of these new policy directions, Taiwan’s Legislative Yuan under the new DPP/NPP majority has drafted and pushed for the passage of a bill promoting Aboriginal languages – or what is left of them. In sharp contrast with the current hectic debates at the Parliament over the proposed “Forward looking-Infrastructure Development Program”, or over any question related to the ill-gotten (KMT) party assets, the review of this bill seems to have been smooth and debates seem to have remained technical. In a record time, the bill will likely soon be passed into law. The proposed law stipulates that local executives in charge of Aboriginal territories will have to train teachers in Autochtonous languages in order to teach not only those languages, but most importantly in these languages; grants Aborigines a formal right to express themselves in their mother tongue in administrative and judicial procedures; extends teaching of autochtonous languages outside of Aboriginal land; requests the State to create neologisms and check regularly the proficency of Taiwan’s Austronesians in these languages; declares such languages as national languages, hence transforming Taiwan in an officially multi-lingual society. So far, as repeated by President Chen in 2004, the only official language of Taiwan was Mandarin Chinese. Though beautiful on the paper, the law will neverhtless inevitably meet with immense difficulties in its implementation, starting with the adoption of application decrees by relevant ministries. Two obvious difficulties will be: One, the preliminary definition of so-called “Aboriginal territories”, extremely tricky in most cases for many reasons; Two, the government will have to translate into numerous indigenous languages disciplines of knowlegde which had never been translated before, such as mathematics. In order to enquire into the process of law-making on one of the most complex issues that Mme Tsai’s government is facing, we are delighted to invite a young scholar in anthropology, Weng Shu-yu, who worked as a legislative assistant for Mrs. Kolas YOTAKA, Amis, DPP legislator-at-large in the present 9th legislature, on indigenous issues. The seminar will be introduced by Stéphane Corcuff, director of CEFC Taipei. Attendence is free but registration is necessary.